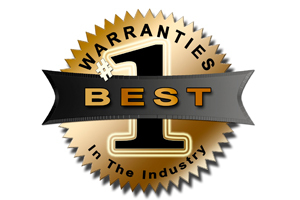 Featuring a single operable sash, single-hung windows are the most commonly installed modern replacement window with a limited budget. All windows are custom made to order. 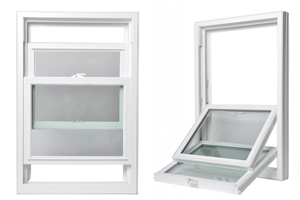 Double-hung windows feature two operable sashes in a single frame. Made of the highest quality vinyl available! 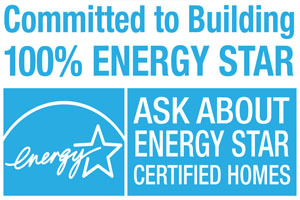 Insulated frames and sashes increase insulation values. 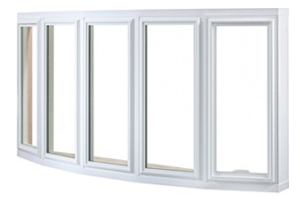 Manufactured using the same materials as our double-hung windows, slider windows feature sashes that operate horizontally in your choice of double and triple panes. Can also be manufactured as a LARGE picture window. All windows are custom made to order. Available in two configurations: double slider and triple slider. Sashes are removable and tilt out for easy cleaning. We recommend purchasing this window in pairs. 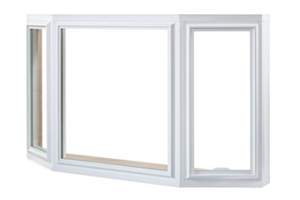 Awning Windows also available. 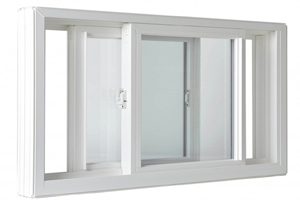 Manufactured using the same materials and processes as our casement windows, Awning Windows open horizontally. 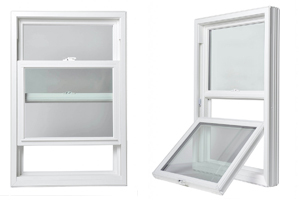 Bay windows are available in operable and non-operable versions. Each Bay window has an optional shingled roof, wood stain options and tile options. These windows are custom manufactured in a wide variety of sizes, shapes and orientations for visual interest and room appeal. The objective is to capture as much light as possible and expand the feel of the room. Cushions are a very popular option to add for the use of seating. Custom fabricated to fit the requirements of the existing opening. 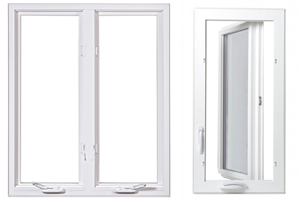 Bow windows are available in operable and non-operable versions. Each Bow window has an optional shingled roof, wood stain options and tile options. These windows are custom manufactured in a wide variety of sizes, shapes and orientations for visual interest and room appeal. The objective is to capture as much light as possible and expand the feel of the room. Cushions are a very popular option to add for the use of seating. 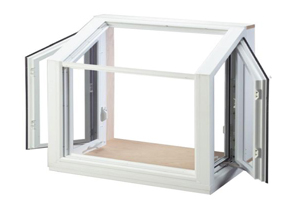 Garden windows are available in operable and non-operable versions. Each garden window has an optional plant shelf, wood stain options and tile options. These windows are custom manufactured in a wide variety of sizes, shapes and orientations for visual interest and room appeal. The objective is to capture as much light as possible and expand the feel of the room. 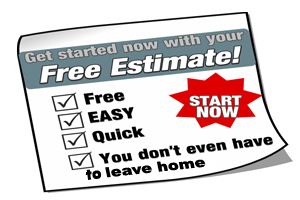 We recommend installation in a kitchen over the sink basin. Architectural styles are available in operable and non-operable versions. Non-operable styles include arches, circles, octagons, extended arches and extended eyebrows. Note: this is a non-exhaustive list. Operable styles include single hung extended arch and single hung extended eyebrow. 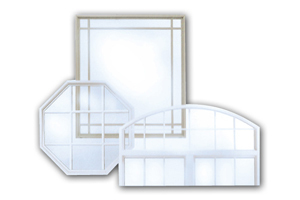 These windows are custom manufactured in a wide variety of non-standard shapes and orientations for room appeal. Custom fabricated using integrating arches and non-standard angles to create a wide variety of shapes.